The Rbbinical Tartan kilt is here! I have just received my newest kilt fashioned on a tartan of my own Co-Design and Ownership. It's called the "Rabbinical Tartan" and is restricted to Ordained Rabbis only. In about 11 months , the kilt was Co-Designed and fashioned by a Master Kilter and Tartan Designer, Mr. Gary Berreth, into an unique, " Heirloom Quality", traditional "military style" kilt containing 56 pleats! The only one in the world! Another kilt, made on the sett (dress style) is being made now, due for completiong on the Fall 2011. The concept of tartans beings restricted to clergy of other denominations, whlie not numerous, is a standard practise of many clerics, who have design and legally registered tartans for their unique religious denomination, now archived by The Scotish Register of Tartans (SRT). Though the SRT is a relatively young branch of the Scottish Government, it obtained and consolidated archived tartans from by organisations in Scotland that preeded it by many, many years. The Scottish Register of Tartans contains several of said restircted clerical tartans in its archives. For those who are of the Jewish faith, there are other unrestricted Jewish Tartans (Jewish Tartan, Am Yisrael Chai, and others) registered with the Scottish Register of Tartans; however, but this is the only one restricted to Rabbis (Jewish clergyperson). This reason for such restriction was necessary in order to avoid disecration of the symbols and meanings the Rabbinical Tartan contains. It is a tartan replete with Mystic and Kabbalistics meanings in its design. Its design employed the Fibonacci Mathematical sequencing system, and the Ancient Art and Science of Gematria, which attributes mystic meanings based on the numberical value of Hebrew letters [like the Romans numbers, where I=1, V=5, X=10, etc.] or the use of numbers (of treads) to find the same Mystic values by reverse application of letters to numbers, thus creating words of Kabbalistic significance. The first kilt made using this tartan was fashioned in accordance with the Laws of Shaa'neetz, which prohibits the mixture or commingling of diferrent types of materials (no wool and linen can be in the same garment), made by a Kilt Maker who is observant of Shabbat and Yamim Tovim (Sabbath and Holy Days). The kilter also developed an unique method of of using special stabilising materials and procedures, capable of handling extreme pulling of the tartan without any shifting of the tartan. This process remains proprietary and confidential. The kilting took 11 months. The kilt was entirely hand-made, and has 56 pleats containing over 25,000 (yes, 25 thousand!) hand-sewn stitches using gold needles, all done under strict Rabbinical supervision, ensuring its compliance with Jewish laws regarding the crafting of garments and guarding against the prohibition of mixture of certain textiles, such as wool and linnen. The result? A one-of-a-kind, "heirloom quality" art masterpiece and an unique religiously-significant "treasure"! For more information about: The Rabbinical Tartan, please visit: http://www.californiabagpiper.com/id56.html/ (note: this is not a commercial website, nor can anyone purchase anything through it, in accordance with the rules of this Forum). This website contains a detailed explanation of the Rabbinical Tartan, and its connection to Scotland. Shalom and Alba Gu Brah! 56 pleats, WOW! we definately need to see a picture of it, normally in a hand sewn kilt you can expect 25 to 30 pleats, so 56 pleats either means they are very narrow, or possibly doubled up, either way it likely uses a lot more fabric if it has normal sized pleats or else the pleats are very narrow. Of course almost anyone can register a tartan with whatever design or meaning criteria, so well done you for getting it done, remember of course that the Scottish Register of Tartans is simply an index( albeit an impressive one) and doesn't actually grant any authority to the tartan, and getting it on the list doesn't actually accord any tartan with any especial rights. I'm interested in what the kilt was sewn with, I'm a kilt maker and I'm wondering what thread was used, I'd be lost without polyester thread( it's strong and light) and I don't honestly know if it would be allowed anyway.If I ever had a Jewish client who had some beliefs on these matters I'd love to be able to answer him. And please I'm sure we would all love to see some pictures when you can, please! I am glad you found this tartan and the kilt interesting enought to write some enquiries. Yes, The kilt has 56 pleats, plus about 30 cm. of hidden extra tartan for altherations, should they be required. In total, it contains 14 metres of tartan, and while the pleats number fifty six, they ARE NOT doubled and each one can ben clearly seend when worn. Of course, they are smaller than the usual than the other 18 kilts I have (the pleats are 1.12 cm and reach from side to side, begining and ending on precisely under the belth buckles). While I agree with you that polyesther is light and strong, the kilt was sewn using 100% wool upholstery tread, since we setadfastly adhered to the Laws of Shaa´netz (the prohibition of mixing species, fabrics on the same garments, etc.) As a kilter your must know how difficult is to sew wool using wool; so we use a colorless lotion as a lubricant, when making each pleat, which contains over 225 stitches each. In addition to the first kilt, the kilter also made a Piper's plaid, a Flight plaid, hose flashes, drone ribbons for my 1892 Henderson Pipes and a Boukari, a sort of headgear worn by Rabbis and Cantors, containing 18 pieces (the number 18 means Chay in Hebrew, Life in English, as in the famous toast Le Chayim -To Life). The next kilt on the sett, will also have 56 pleats and the process is going on as we speak. Buts since we are aproaching the Festival of Passover soon (near Easter) and the several Jewish holy Days, follow by the "High Holidays" of Rosh HaShanah, Yom Kippur and the Festival of Sukkot (Feast of Tabernacles), during which sewing is not permitted, we are safely estimating that the new kilt will be completed by early fall of this year. In my humble opinion (I am not a kiltmaker like you, but in the process of supervising he making of this and others kilts I own, I have been "mildly educated" about your craft. ommited from the "public access" photographis record, is the stabilising materials and procedures, since they where created by the kiltmaker and is consider "intellectual property", hence, the internal lines is sealed and you cannot reach the waistband from inside. Regarding the registration, I am in agreement with you in the sense that the STR is an impresive archive and the rights and powers granted to the registrants are limited. 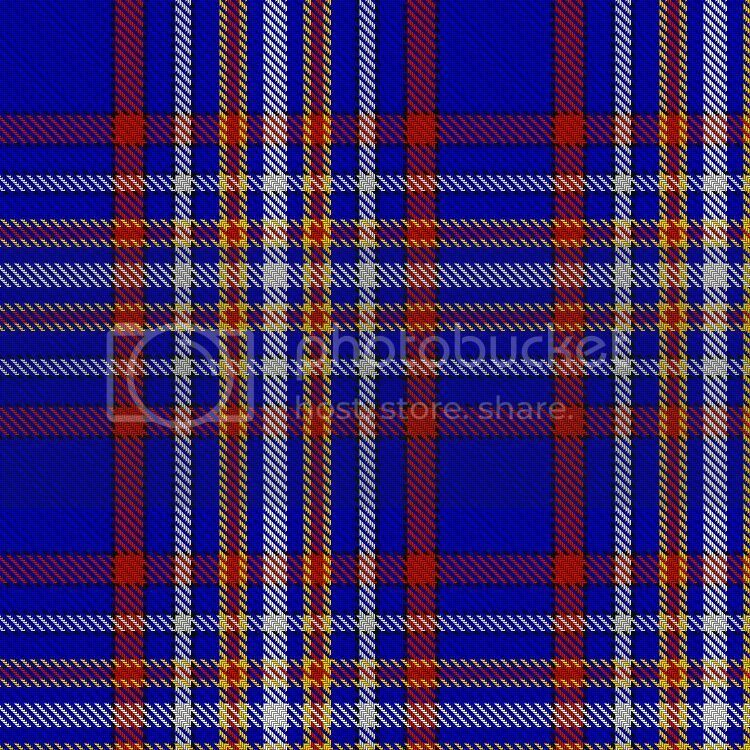 However, under Civi law, the Hague (and Interpol) as well as many States un the U.S.A., consider the first person to register a Tartan as as restricted, the "legal owner", should some unscrupulous person decide to weave the tartan, said entities grant similar rights of a "patent holder" (albeit without "expiration"), allowing the owner whose restricted tartan was woven without his or her express written consent to litigate agaisnt the offender. This, has unfortunately has had a precedent, where a restricted tartan was registered with the SRT and someone made a reproduction in Canada and Pakistan. In said case, the owner successfully litigated and won the case on said merit, and receive a rather large monetary award, in addition of penalties and other compensation for "damages" granted by the tribunal. It is my sincere hope that I have answered your questions to your full satisfaction. I look forward to finishing this project of posting the photos soon, and will inform you of where to visit to view them and offer your comments, ideas and hopefully, as a professional, some constructive criticism. I forgot to mention that the pleats are 3 inches deep! all 56 of them. I too would like to see this kilt, it sounds too good to be true. How many yards of cloth were used to make this thing? But he kens fine where its goin'. Yowsa, that's a spicey meat ball! Wow! 14 metres - just over 15 yards! That is some kilt!. Is there a religious reason for the 56 pleats as well. I am so impressed that kilt-making process followed the restrictions for mixing species.